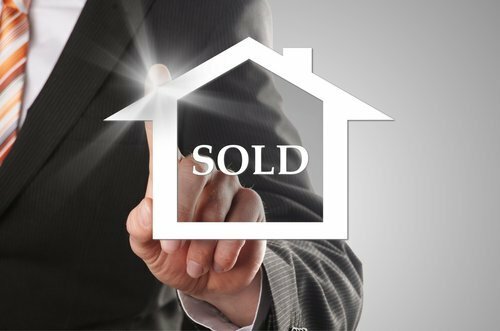 Sell Your Bucks County Home Quickly & for Top Dollar! Gone are the days when a “For Sale” sign and a listing in the classified ads was enough to sell a home. Those strategies are still utilized, but today’s home buyer is more technologically savvy than ever before. Three out of five buyers used the Internet to find a new home in 2006. By 2012, some 80% started their search for a new property by going online. In today's market, over 90% of buyers begin their search online. Clearly, this is a segment of the population that no seller can afford to ignore. This technological component is why it's more vital than ever to hire a knowledgeable, professional Realtor like Russell Volk to strategize a customized marketing plan to sell your home. Visit the Your Home's Value page and fill out the form to tell Russell about the house you’d like to sell. In return, you’ll receive a free, no obligation Comparative Market Analysis on your house that will help you determine the market price for your property. The process for listing your home begins with gathering facts and photos. Today’s home buyer is anxious for data, and the more the better. Including highly specific details in your listing increases the chances that people will click on your home, and that they’ll stay looking for quite awhile. The other component that gets people browsing is pictures. The interior and exterior of your home will be professionally photographed with painstaking detail to show prospective buyers all of the amenities your home provides. Studies have shown that pictures make all the difference. Intrigued browsers tend to view all photographs, and the more of your home people can see online, the better the chances are that they’re going to request a showing to see it in person. Each online listing includes Google mapping with satellite imagery and StreetView and Bing mapping along with many other features that let viewers get the maximum amount of information in the minimum amount of time. It’s strategies like these that generate a greater number of sales leads. Today’s instant gratification society relies heavily upon the immediacy of electronically enhanced communication. The Internet, text messaging, emails and social media are all designed with the goal of getting information out to an audience as quickly as possible. Prospective buyers expect, and deserve, responses at lightning speed. One of the reasons that Russell Volk has been so successful at helping people buy and sell real estate is his commitment to keeping abreast of all the latest technological advances. Time and again, clients have found that one of the main benefits of working with Russell is his feature-rich website. Quite simply, this website is the best resource for understanding the real estate market in Bucks County. Each listing is filled with informative data and detailed photographs that show every property to its best advantage. The website also enables browsers to register a profile. They can specify preferences and sign up to receive email updates on properties that are available in Bucks County. As soon as Russell adds a listing that matches the buyer’s preferences, they receive an email notification. At any given time, there could be hundreds of buyers waiting for a property just like yours. Technology also facilitates Russell's ability to respond to inquiries with phenomenal speed. His website is enabled to immediately contact him by cell phone as soon as an online inquiry is sent. As a result, Russell is able to respond without delay. The website also features an innovative communication software program that enables Russell to stay in contact with buyers on a frequent basis. This encourages repeat visits and increased opportunities for these potential buyers to see your home listing. With exposure on these high traffic websites and many others, it’s easy to understand how Russell is able to maintain contact with so many browsers and turn them into buyers. RE/MAX Elite is the premier real estate brokerage in Bucks County, which means your confidence is well placed when you list your home with them. Contact Russell Volk to put the extensive RE/MAX network to work for you.